Non Alcoholic Wine (otherwise known as ‘alcohol free wine’) is a viable alternative for those who wish to celebrate, or who wish simply to enjoy the taste of wine, without experiencing the effects of alcohol on the body and nervous system. With the growing popularity of wine coinciding with an increasing recognition of the unhealthy and antisocial aspects of alcohol consumption over the last 20-30 years, non-alcoholic wine has been increasingly available. Whilst it does have to reckon with the recent wide proliferation of healthy non-alcoholic drinks on the market – including fruit juices, health drinks such as fruit smoothies, drinks with vitamin fortifications, mineral water and so on – non-alcoholic wine still finds a market today. Because non-alcoholic wine is made in essentially the same way as normal (but with the alcohol removed from the wine after its initial fermentation) it tastes much the same as it would taste had it been made entirely in the usual way. For this reason alcohol free wine is essentially different from grape juice as it has many more subtle flavours and thus appeals to wine lovers unable to drink alcohol for any one of several reasons. As non-alcoholic wine is made in the same way as regular wine and from the same ingredients it has the same health benefits (i.e. it can help to reduce the risk of heart disease and, arguably, cancer and stroke). However, because it has no alcohol it does not carry the same drawbacks, such as the hangover the day after, the risk of alcoholism following prolonged and regular consumption, and the risk of long term liver failure. Alcohol free wine actually contains far fewer calories than normal wine meaning that an adult who drinks 14 units of wine a week (the safe limit according to government guidelines) will stand to consume approximately 1’000 fewer calories per week if they switch to alcohol free wine. Though, indeed, it seems unlikely that anyone would explicitly aim to replace normal wine consumption with alcohol free consumption consistently for this reason, rather than switching to a mixture of non-alcoholic alternatives to wine! Alcohol free wine does seem to be a choice made now and then, rather than a ritual one would choose to stick to, partly, of course, as it does not have the more-ish quality of an alcoholic drink! Nonetheless, alcohol free wine is a great idea if you need to retain your wits about you, making it a popular alternative at some business meetings and dinners, as well as for designated driver. It can be of possible use to fully recovered alcoholics, although caution must be urged as the taste of wine might be enough to cause a relapse: in these cases healthy alternatives might be preferable. 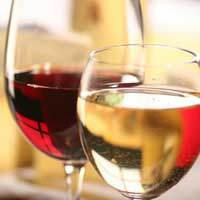 It must be noted that all alcohol free beverages do in fact retain a small amount of alcohol left over as residue following its removal, and so if the intention is to completely avoid alcohol for religious or other reasons then alcohol free wine would not be a viable alternative to soft drinks. I thank the engineer whom developed such a product, well done, non alcoholic wine is great.